Nvidia releases its first WHQL Windows 7 graphics driver, just a day after AMD got its first WHQL WIndows 7 graphics driver out the door. Godfrey Cheng, Director of Technical Marketing in AMD's Graphics Products Group, has said that PhysX will die if it remains a closed and proprietary standard. AMD has introduced the ATI Radeon HD 4830, and bills it as a product that raises the performance bar for sub-£100 graphics cards. Today, Nvidia has announced five new mid-range DirectX 10 graphics cards based around its G84 and G86 graphics processing units. We have a look at GeForce 8600 GTS to find out if it is this year's must-have mainstream graphics card. According to a report on The Inquirer, Company of Heroes will be getting its eagerly anticipated DirectX 10 update in March. ATI's new R580 = Radeon X1900? ATI's new flagship could now be called Radeon X1900 when released in late January. We talk specification, and NVIDIA's response, the G71. Bethesda's next RPG, Elder Scrolls 4: Oblivion, is simply gorgeous. We asked Brett Thomas to polish his suit of armour and find out more about this Xbox 360 and PC stunner in this exclusive interview with the game's Producer, Gavin Carter. 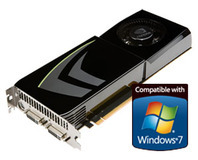 Today, NVIDIA have launched yet another high-end card, the 7800 GT. 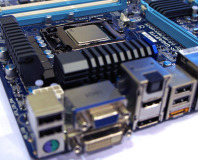 Capable of SLI, as well as blistering single-card speed, is this yet another nail in the coffin for ATI? We put cards from XFX and BFG under the microscope.